I don’t know about you, but I am quite sure that if the saintly Mother Teresa were still alive today and she chances upon the $3.95 Mother Teresa Breath Spray, you can be almost certain that she would not be asking for any kind of royalty payment or the sorts simply because she is a saintly lady who is brimming with love. 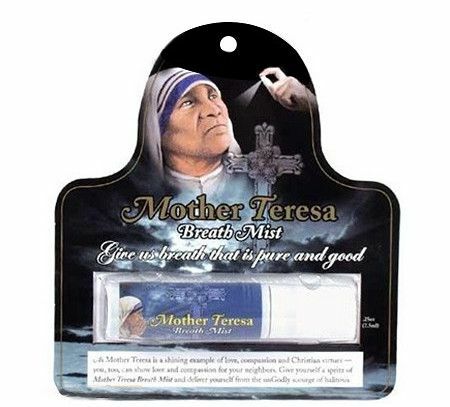 Having said that, if you ever wondered whether you could end up like her in some way, perhaps the magic of this Mother Teresa Breath Spray would work wonders. Needless to say, it is not scientifically proven, and is more or less a psychological condition than anything else if you decide to give your mouth a couple of spritzes.